Home Forums Mechanical Turk Daily Work Threads 07/23 - Scarlett O'Hara Saturday! 07/23 - Scarlett O'Hara Saturday! Discussion in 'Daily Work Threads' started by TissueHime, Jul 23, 2016. <Gucci>, TotalBabe, Concise and 2 others like this. Concise, Vanyanka and Yuk like this. <Gucci>, JenniLeigh, Yuk and 2 others like this. <Gucci>, TurkingMaster, JenniLeigh and 2 others like this. Barbwire, <Gucci>, TurkingMaster and 3 others like this. <Gucci> and Concise like this. <Gucci> and Yuk like this. <Gucci>, JenniLeigh and Yuk like this. Barbwire, TurkingMaster, Concise and 2 others like this. togar, <Gucci>, TurkingMaster and 3 others like this. togar, TurkingMaster and Pleco like this. togar, Azazael and Pleco like this. Considering the title of the thread, someone has to post this. It might as well be me. BrewMeister, Concise, TurkingMaster and 4 others like this. Aren't I super clever and funny? TurkingMaster and Vanyanka like this. None of us are, that's why we're stuck here. My dream is to be able to say "Goddammit!" 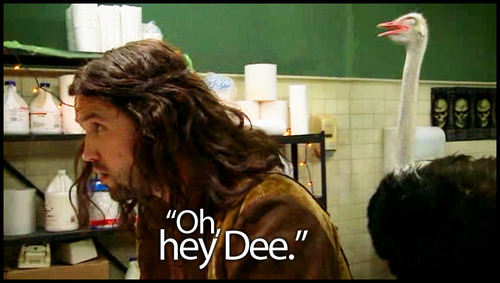 just like Dee.